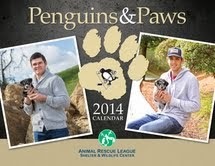 We are proud to partner with the Animal Rescue League of Pittsburgh to promote “Penguins and Paws” their 2014 calendar. The Animal Rescue League Shelter & Wildlife Center on 6620 Hamilton Avenue is the Official Animal Shelter of the Pittsburgh Penguins. These calendar features your favorite Penguin players beautifully photographed with animals from the shelter. 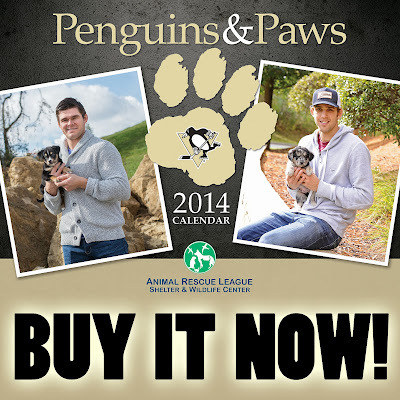 They make perfect gifts for that animal lover on your Holiday gift list and are the must-have item for every Pittsburgh Penguin fan. Everyone needs a calendar!